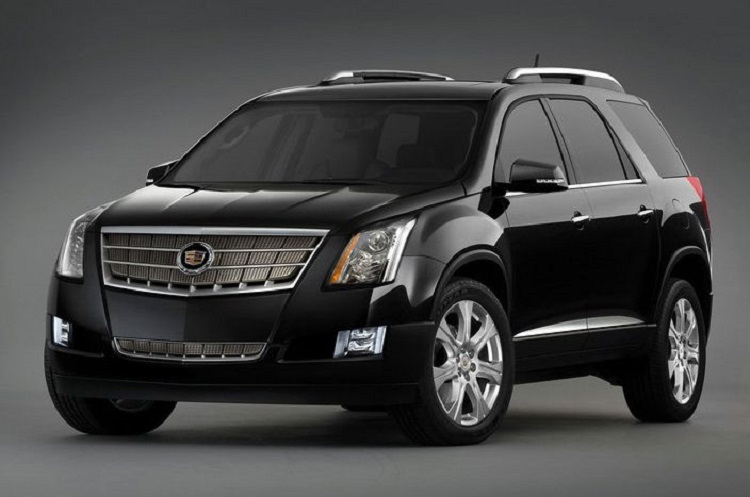 The 2015 Cadillac Escalade has to be the first full-size, luxury SUV most people think of. Over the years, the SUV has become an almost iconic status symbol of wealth. With its sharp styling and feature-laden interior, it is easy to see why it is at the top of the luxury SUV segment. It is simply hard to best it. For the fourth-generation Cadillac Escalade, the styling has gotten definitely sharper with a bit more of a European-luxury look to it. Gone is the roundness found in the previous generation. Instead, buyers will find more sharp counter lines. This look is carried throughout GM’s full-size SUV offerings (GMC Yukon and Chevy Tahoe) with the Escalade getting the full chrome treatment. 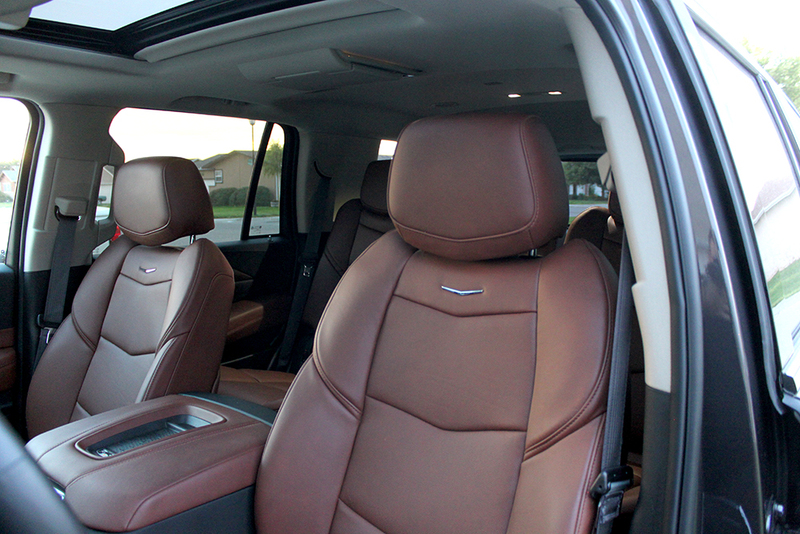 On the inside, the Escalade once again offers some of the best materials found in the automotive segment along with a healthy dose of technology features and USB plug-ins for long-road trips. While these upgrades are nice in the Platinum, they do come with an additional $6k increase in price. My 4WD test model in Premium trim level, starting at $84,070, comes with many of the features I use like adaptive cruise control, a single screen rear entertainment screen with a Blu-ray player, cornering lights and additional safety features. Even though the Premium front seats don’t massage, they have lumbar and are heated and cooled. They are pretty comfortable anyway and the massaging is just an additional feature. 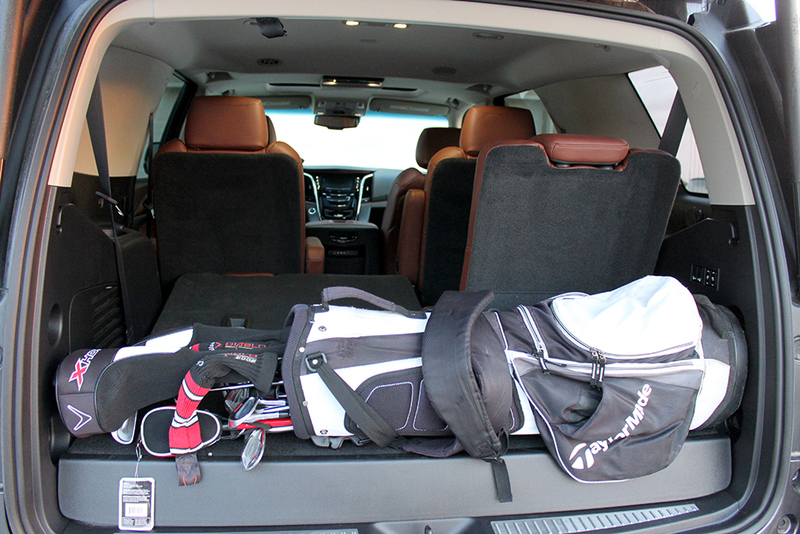 Packing all of these features inside does create my biggest complaint – cramped interior. With a vehicle of this size, my assumption would be a spacious interior. This was not the case per se and I was surprised at how tight the front cabin felt. 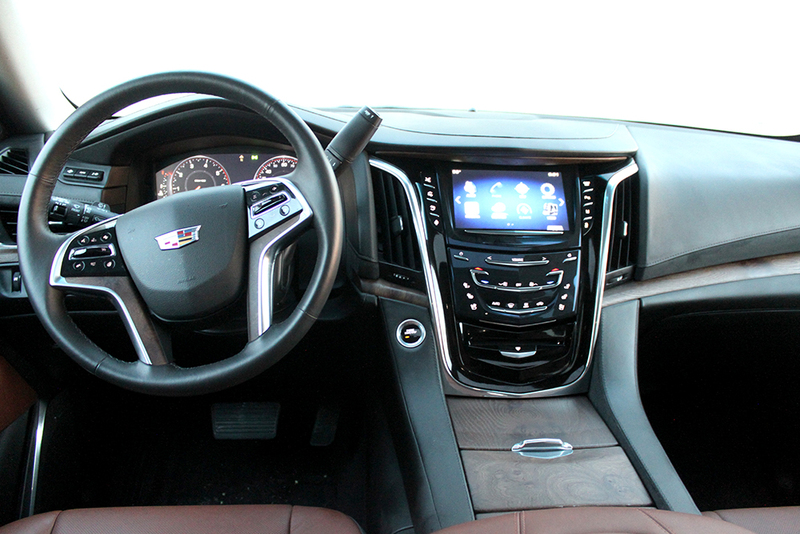 For example, the Cadillac Escalade is .5” wider than a Chevy Silverado, yet when packed with all of the upgraded center console items and luxury touches, it feels considerably tighter. Even compared to say an Infiniti QX80, the Cadillac offers more front-row hip room with more than an inch over the rival (60.90 vs. 59.2 respectively), yet the QX80 just feels roomier. While the interior space was a surprise, the powertrain was a delight with the large 6.2L V8 mated to an 8-speed transmission returning 420 HP and 460 lb-ft of torque. This combination is more than adequate for powering the full-size SUV as well as 8,300 lbs of towing capacity with a 3.23 rear axle. The Escalade is the perfect vehicle to ride in comfort after loading up with the family, cargo and a camper or boat while heading up for a weekend at the lake. Unloaded is a bit of a different story. 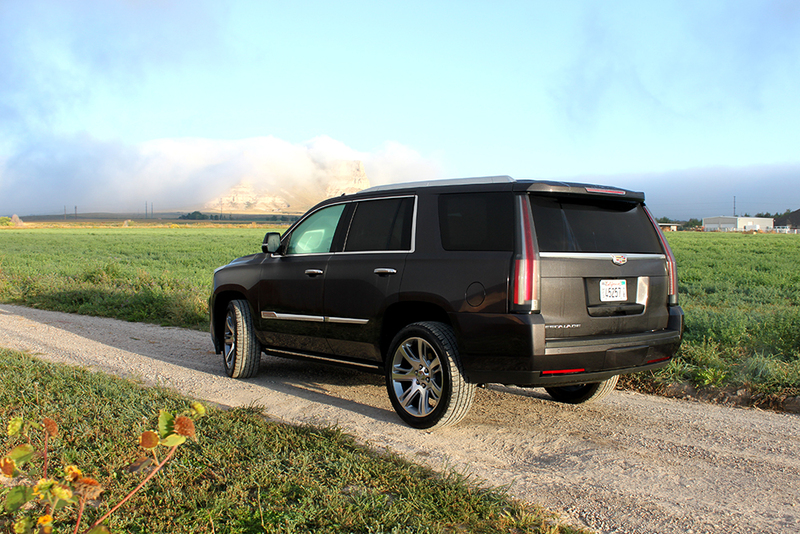 Like its GM brethren, Yukon and Tahoe, the heavy 6.2L V8 creates a bit of a weight-distribution issue with the SUV feeling really front heavy. This is pretty evident smashing the gas at an intersection when the front-end rises. In everyday driving, this is less of an issue, yet it is pretty noticeable. Also, this is a body-on-frame SUV (truck-like) and the ride quality resembles more of a truck than a uni-body SUV. The combination of towing and hauling capability in a full-size SUV does have one drawback – fuel economy. For the 2015 Cadillac Escalade in 4WD, EPA estimated fuel economy is a paltry 15/21/17 city/highway/combined. Equipped with a 31.0 gallon tank, owners could be hurting if gas prices rise back over $3 a gallon. A big item to note for this generation is the change in the third-row seating. Historically, these seats were designed to be removed and stored when not in use. 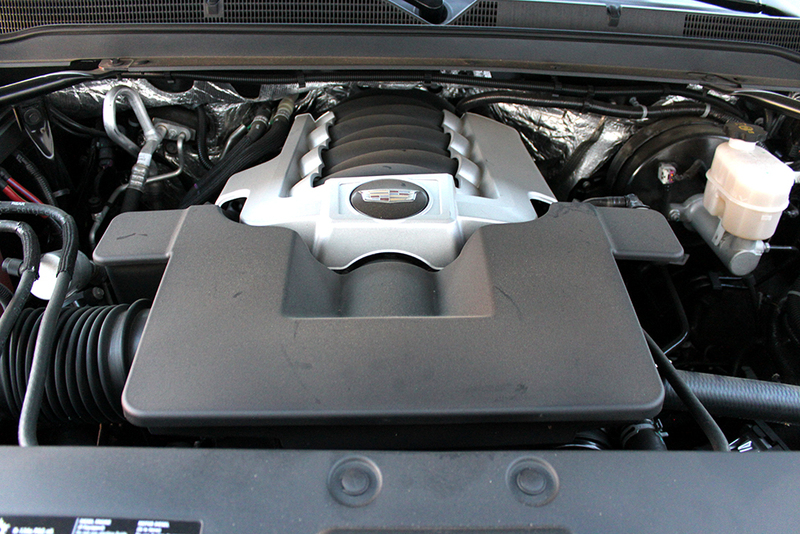 However, GM changed this on all of their full-size SUVs and they are now stowed under the floor in the rear. While this makes them accessible at all times, it also creates a rise in the rear cargo area since the seats sit above the rear axle. This can be a tiresome burden if you are constantly loading and unloading large items. 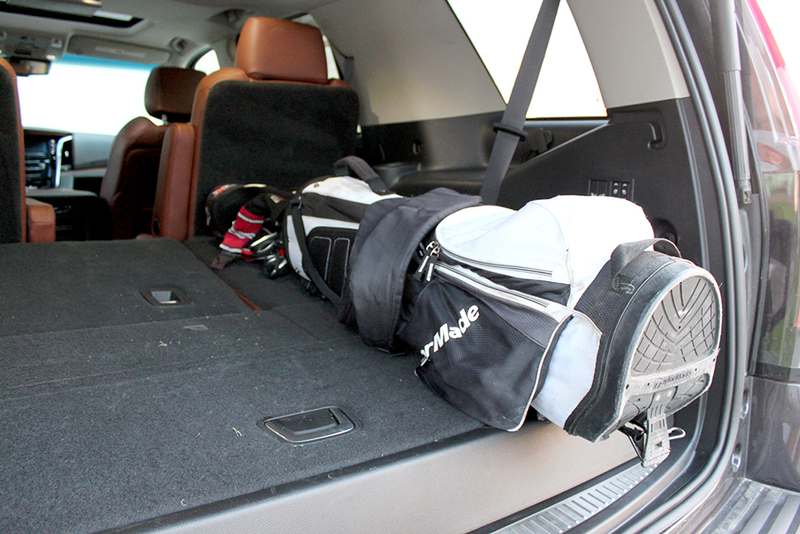 Plus, the space behind the third-row, when up, is wide enough for a set of golf clubs and not much more. 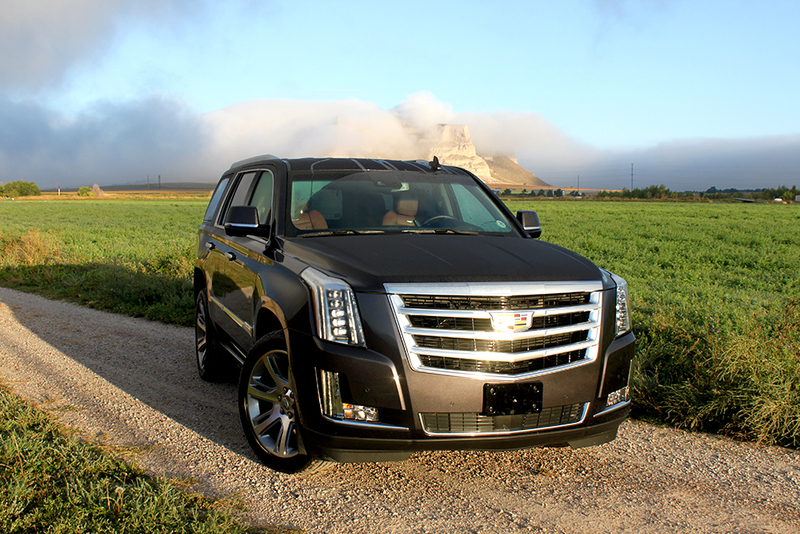 In the end, the 2015 Cadillac Escalade is still an iconic vehicle for the Cadillac brand. With its great styling, luxurious interior and big engine, it is easy to see why it is so popular.